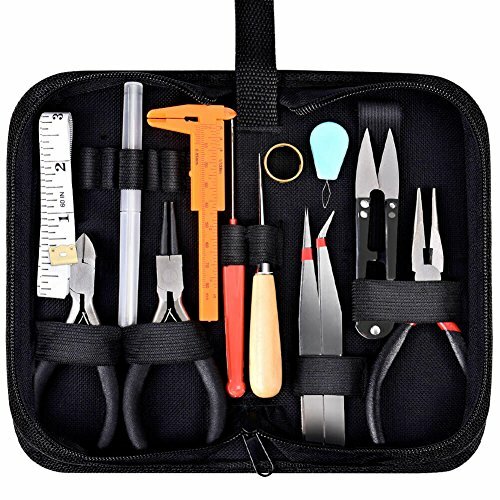 This jewelry tools kit comes with a black zip pouch that is about 8"x 4" x 2". The handy case keeps the tools together and makes it easy to carry. View More In Jewelry Making Tools & Accessories. Fancii LED Illuminated 20X Jewelers Loupe Magnifier, Triplet Glass - Premium Aluminum Magnifying Eye Loop Best for Jewelry, Diamonds, Gems, Coins, Engravings and More!